Our Soho venue, the biggest of our Banh Mi Keu delis and a real show stopper on the streets of London's West End. Sat snug in the backstreets of Soho perched perfectly between the famous Oxford Street and London's TheatreLand. 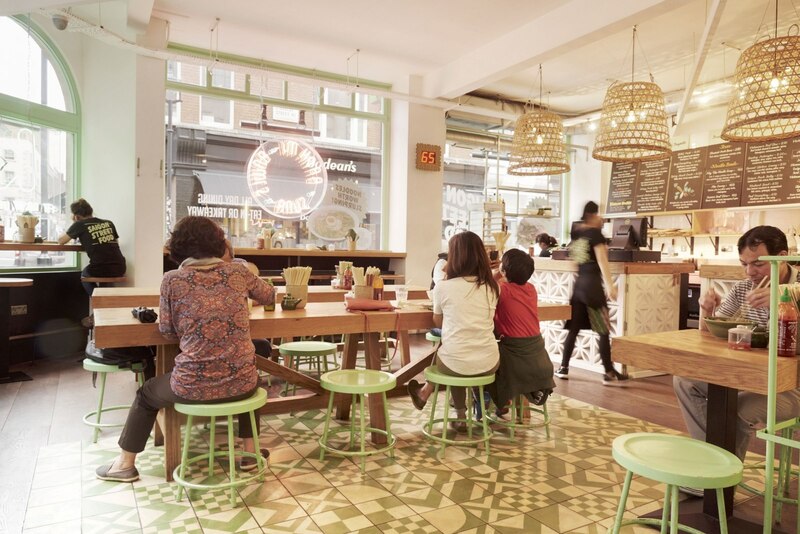 Still with every opportunity to pop in, grab your favourite Vietnamese sandwich banh mi, noodle or rice dish to take away, this venue also has ample of space to sit down, relax and enjoy your Vietnamese feast while watching the fascinating world of Soho pass you by. Our authentic Asian dishes can be enjoyed alongside one of our cocktails, a glass of wine or sticking to Vietnamese tradition, a Vietnamese coffee, of course.